If you were to visit our house you would see that our kitchen cupboards were fit to bursting point. Our kitchen cupboards are not cluttered but they are full of gadgets which I like to use when cooking. Every gadget in our kitchen has a use and each gadget helps us in some way to prepare our meals. This Christmas I was sent an exciting arrange of kitchen gadget to test. 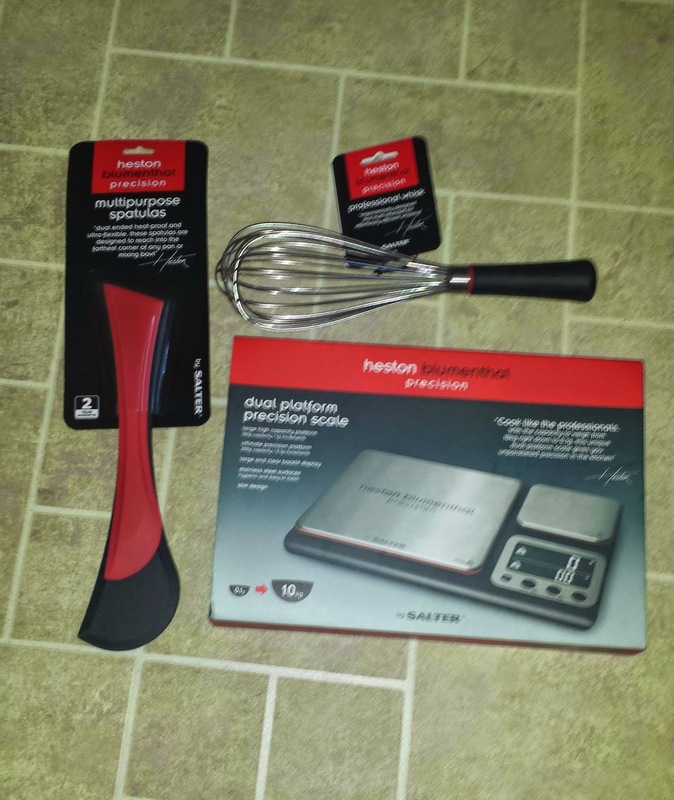 We were sent the fantastic Heston Blumenthal Dual Platform Precision Scales, Heston Blumenthal multipurpose spatulas and Heston Blumenthal whisk which I was extremely excited to receive to review. Heston Blumenthal has joined forces with Salter and has come up with a selection of amazing kitchen equipment. Heston Blumenthal Dual Platform Precision Scales feature two stainless steel platform scales however the 2 scales are all in one. The clever device can weigh large capacities which can weigh up to 10kg on one scale however it can also weigh smaller capacities up to 200g on another scale. The whole concept is very clever, having 2 scales in 1 means you could easily measure herbs on the smaller scale whilst you can weigh large meat quantities on the larger scale. When using the scales you are able to also measure liquids. 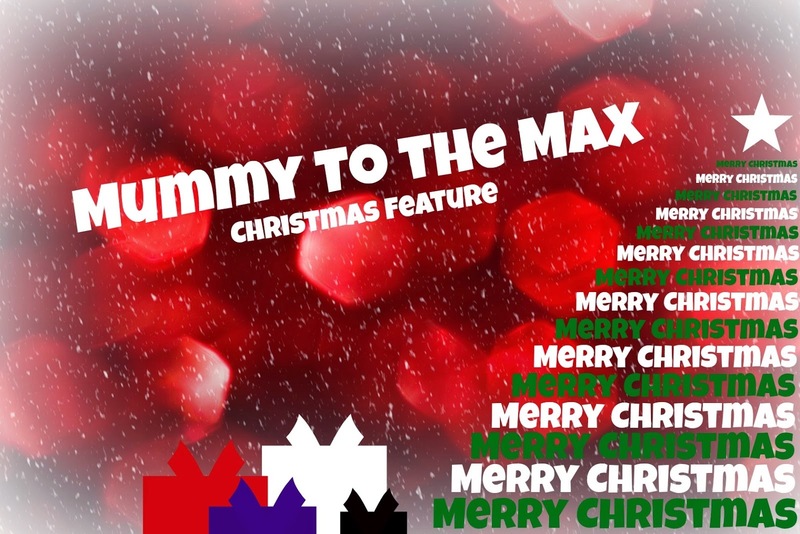 I was extremely impressed with this feature. Instead of getting my measuring jug out, I was able to get a cup and weight the quantity of water I needed for a recipe. I was able to measure the water in ml or fl oz. The scales come in their very own storage case which is extremely helpful when you are not using them. Not only does it make it easy to store them in cupboards, it also keeps them hygienic and keeps them safe from any accidents which may occur in the kitchen such as water spillages. The scales themselves are quite light to lift and they feature a slim design. Overall I was extremely impressed with the scales. I was able to measure in both metric and imperial units: gm, kg, oz, ml, fl oz which meant I saved myself a lot of time when cooking. Instead of running around the kitchen using measuring jugs and having to remove ingredients from a single scale and placing them elsewhere whilst i measured the next ingredient I was able to do everything on the Heston Blumenthal Dual Platform Precision Scale. Heston Blumenthal Multipurpose Spatulas are the perfect little extra to use when you are cooking in a saucepan. Instead of melting a spoon, burning your fingers on a hot metal object and even managing not to reach into those hard to get places, the Heston Blumenthal Multipurpose Spatulas are here to help. The Spatulas are high heat proof and I think they are the perfect item to use when cooking things such as stir fry, curry's and simple things such as rice and pasta. They are extremely flexible, easy to handle and they do not allow food to stick in your saucepan at all due to being able to reach hard to get places. The Spatulas are dishwasher proof which is great when it is time to clear up and the Spatulas are easy to scratch and mark. The Spatulas are a quality item which will go on to last years. The Spatulas have a 2 year guarantee which tells me that the people over at Heston Blumenthal also believe in there fabulous products. Mixers are now the in thing however sometimes I believe a recipe needs a good old fashioned whip with a whisk. Often we have angel delight for desert and often I find myself looking for a whisk. A mixer take's too long to get out and a fork does not create the constancy that I like. Heston Blumenthal Professional Whisk is large in size and has a 7.5cm diameter balloon for whisking in plenty of air to any recipe. The whisk includes professional weight wires for a more versatile usage. The Heston Blumenthal Professional Whisk is easy to use and features a Ergonomic and non-slip handle. When creating recipes with wet hands the whisk stays firmly in my hand and I find it easy to navigate the whisk around the bowl. The Heston Blumenthal Professional Whisk again is a item which is dishwasher safe however the people over at Heston Blumenthal only recommend the whisk being placed on the top shelf of the dishwasher. The Heston Blumenthal Professional Whisk is easy to use and is made out of quality materials. The Professional Whisk has a 2 year guarantee which tells me that the people over at Heston Blumenthal also believe in there fabulous products.